descended from a long line of Yankee settlers. 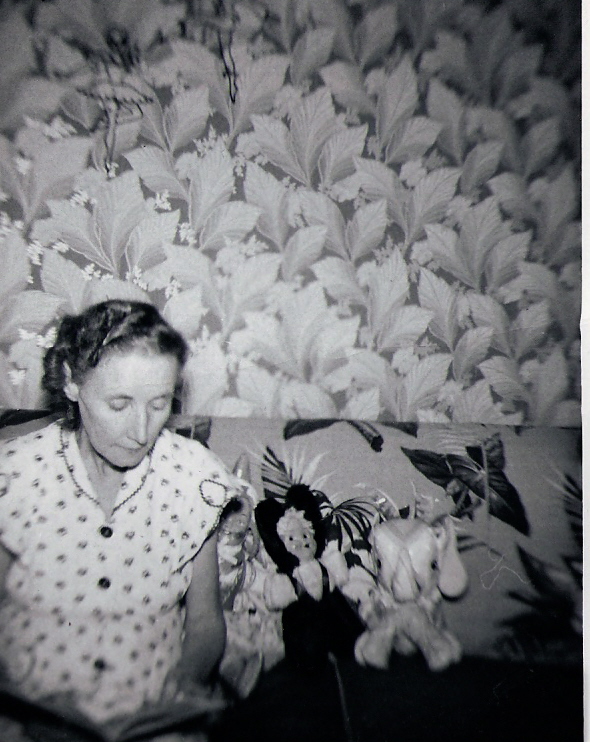 Meet my maternal grandmother, Agnes McFarland. she was "Nanny". I believe the picture is for her Confirmation. on the Boston Elevated Railway. Aggie with a weak heart. 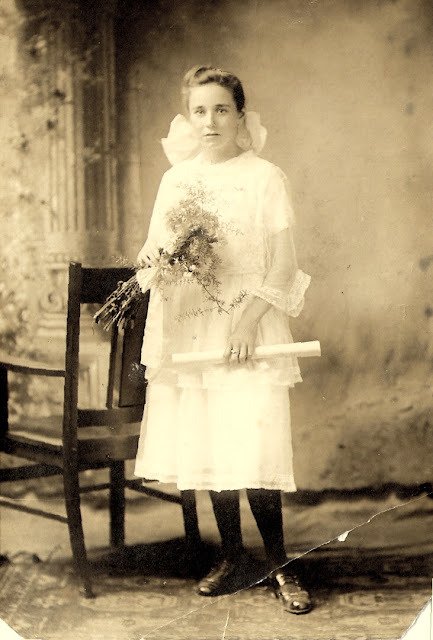 In 1924 she married Edward F.
leaving Aggie to raise the children on her own. Aggie divorced him in 1935. It was hard for her; in those times the label "divorced"
was somewhat shameful for an Irish Catholic woman. them home by the same route she’d used to get there. watching her son join the Navy at 18 to fight in WW2. whose husband had left her for another woman. and I because my parents both worked fulltime. I have memories of her. disgusted tone at their behavior in front of children. a worker fell off the roof when it was being reshingled. Aggie died at age 58 on February 12th, 1957. HALLOWEEN TALE: "LITTLE ORPHANT ANNIE"